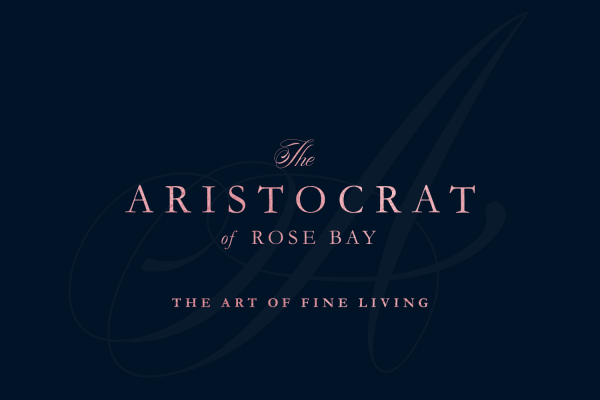 The Aristocrat of Rose Bay is a mixed-use development by luxury developer Luxcon. 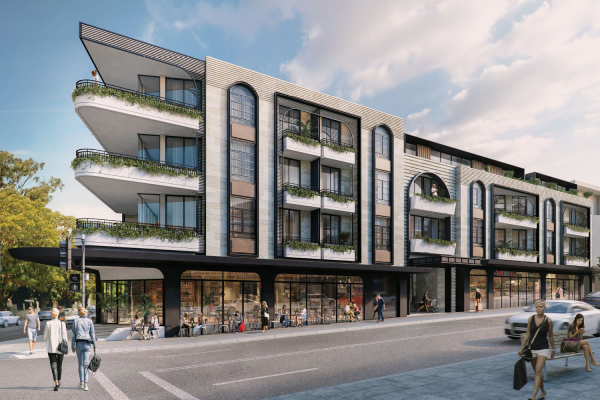 The boutique property is located in the southern precinct of Rose Bay just minutes away from Sydney’s famous Bondi beach, Rose Bay Marina and Westfield Bondi Junction. 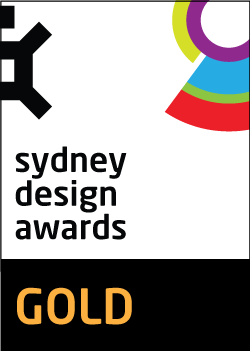 The 28 apartment development, which includes a penthouse unit, is designed by Sydney practice, PBD Architects. These residences have been designed with the highest amenity complimented with pragmatic, efficient configurations. 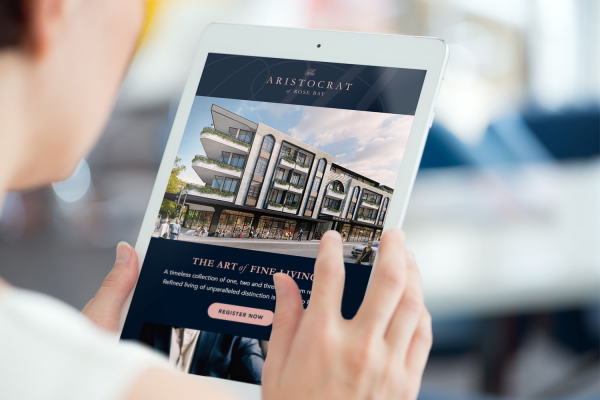 Aristocrat’s architectural design celebrates an emerging style that embraces opulence and fine detailing, a move away from the minimalist, medium density developments of the past. It intends to attract a high earning, style motivated market seeking a prestige, elite lifestyle in the heart of the Eastern Suburbs. Luxcon approached Toast Creative to design the development’s brand, conceive the name as well as produce the full suite of marketing collateral including marketing sales brochure, sales book (coffee table), eDM, DM, press advertising, banners, display suite and on site signage. The building’s prestigious address at 520 Old South Head Road and the property’s architectural and interior design reminiscent of the luxury apartments of Manhattan, served as inspiration for the name. 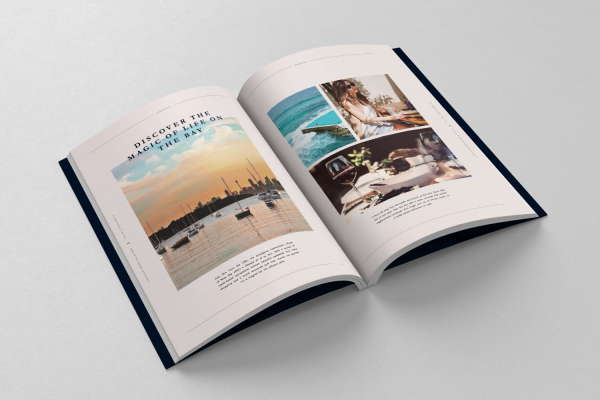 Its brand story of ‘The Art of Fine Living needed to be expressed with comparable grace and in keeping with the anticipation of it becoming one of Rose Bay’s prominent residential landmarks. 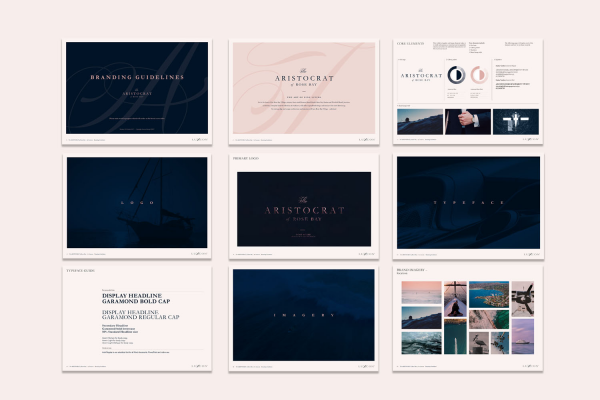 Aristocrat was born. 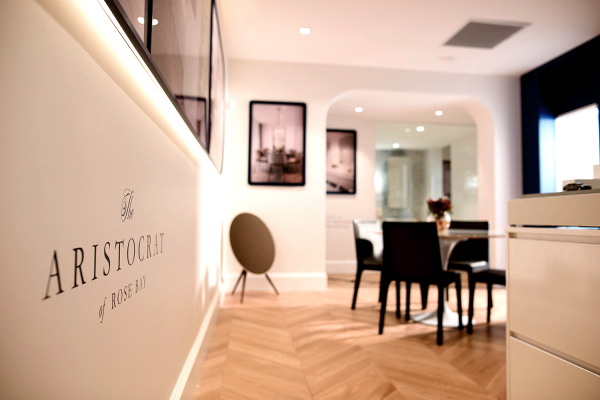 Aristocrat’s modern interpretation of neo-classicism is a design that has become increasingly popular in the residential and hospitality sectors. 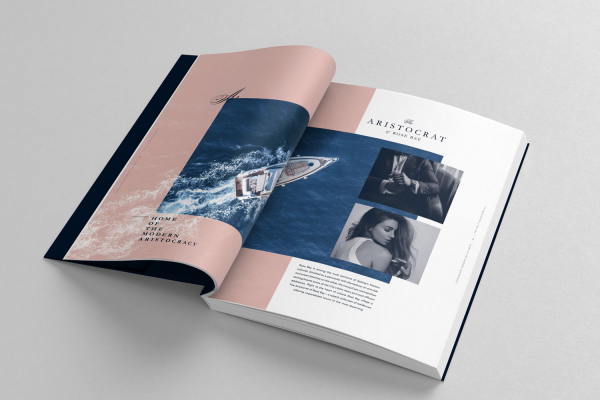 Targeting an influential, mature and sophisticated buyer, it was key that the marketing collateral could embody the same level of luxury and finesse offered by the residential experience. 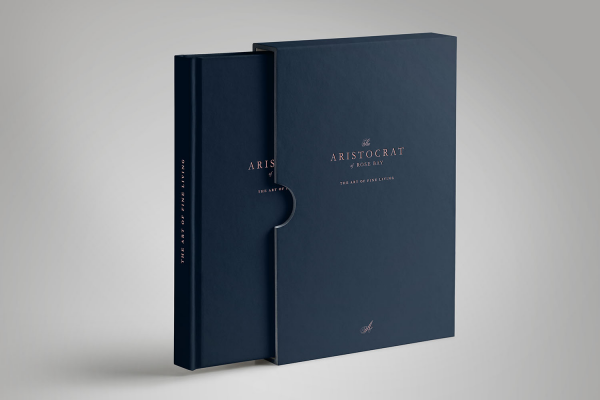 A perfect expression of the brand, the sales book is housed in a hard-bound, dark blue cloth slipcase with metallic foiling on front and back. The contemporary-decadent look and feel is carried through the design, pulling in the use of metallic PMS colour throughout. Printed on silk coated 170gsm paper and generously sized at 250mm(w) x 350mm(h), this is a luxurious and refined brand asset that speaks directly to its target market. 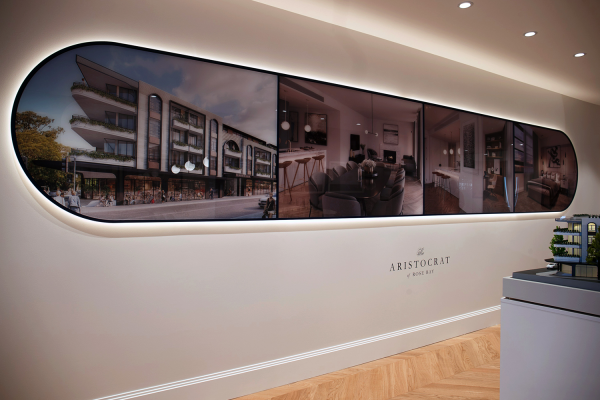 Challenged by the longevity of an overheated residential market and an astute audience that knows its choices, Aristocrat’s marketing needed to deliver a rare confidence across all assets to position the development in line with its compelling promise. The initial VIP presales for Aristocrat have been overwhelming. The campaign used a hyper-targeted campaign approach, focusing on influential Eastern Suburbs residents. The campaign will be launched to the public on May 29, by appointment only.